An accurate impression is essential for effective treatment planning and orthodontic care. The iOC Scanner precisely captures the contours of teeth and soft tissue structures, producing an accurate digital orthodontic scan in just minutes. At Gottsegen Orthodontics, we are using digital scanning as an integral part of our Invisalign treatment protocol as well as for fabrication of a variety of oral appliances, including sleep apnea appliances and sports mouthguards. The iTero handheld wand takes a digital, 3D image of your teeth and gums, stopping as needed. You can look at the iTero 3D image on the screen in real-time. Now instead of UPS shipping impressions to the lab to be scanned, the digital image is electronically sent to the lab and is available in the Invisalign Clincheck system the next day. The accuracy and detail of the iTero scan vs a putty impression is kind of like watching HDTV over standard definition TV. These digital scans don’t need to be rescanned, so by removing the “clay modeling step,” we have greatly improved the accuracy. Eliminates Traditional Impressions, the most invasive procedure in daily orthodontic care. 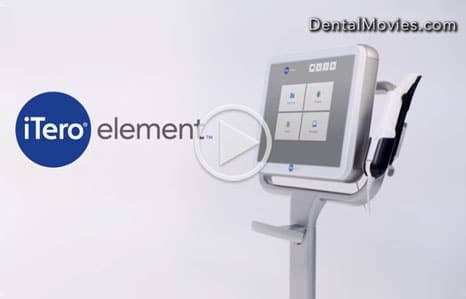 On-Screen Visualization allows for immediate adjustment to create the ideal orthodontic scan the first time. Single-Use Imaging Shield to ensure maximum cleanliness.